BLOGS ABOUT VEGAN HEALTH, VEGAN RECIPES, EXERCISE, LOVE OF ANIMALS, GREEN ENVIRONMENTS, AND SPIRITUALITY. BY THE PEOPLE FOR THE PEOPLE! The Sweet Dream Strawberry Smoothie is an excellent energy booster smoothie. It is loaded with electrolytes to support muscle function and natural quick burning carbohydrates to keep you energized. 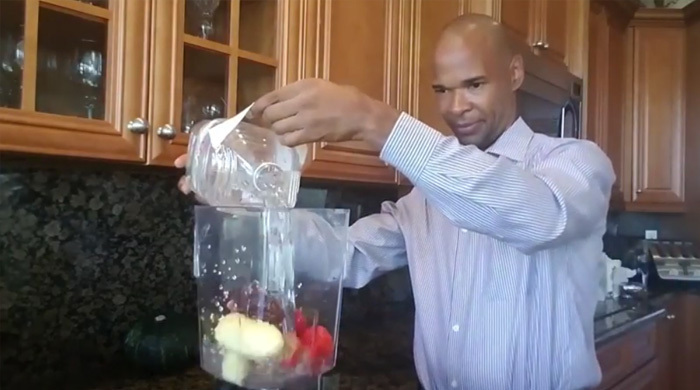 This smoothie recipe is an electric alkaline recipe using the foods on the Dr. Sebi Nutritional Guide. Add bananas, dates, and strawberries to blender jar. Add some water and blend. Continue to add in enough water to end up with 32oz of smoothie. ADVERTISEMENT - Why do I see this? 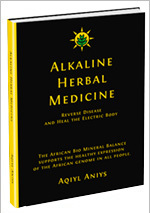 Aqiyl Aniys is the author of the books Alkaline Herbal Medicine, Alkaline Plant Based Diet and the children's book, Faith and Justice eat an Alkaline Plant Based Diet." He received a certificate in plant-based nutrition from Cornell University, a BA in Organizational Behavior and Communications from NYU, worked as an elementary school teacher, and studied social work. He enjoys boxing, kick boxing, cycling, power walking, and basically anything challenging, and his alkaline plant-based diet supports all that he does. Learn more about transitioning to an alkaline vegan diet using the Dr. Sebi nutritional guide.